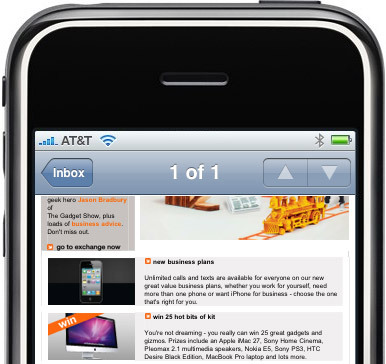 It’s annoying when you get your email to look good in all email clients such as Outlook, Lotus, hotmail etc and then you look at it on an iPhone. 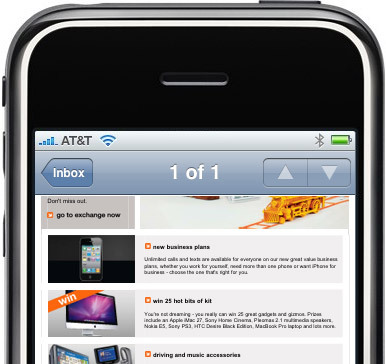 You’ll notice that the font size when viewing emails using an iPhone will be larger than it should be. style="font-family:Arial, Helvetica, sans-serif; color:#222222; font-size:10px; -webkit-text-size-adjust:none"